These are my first wet felt projects. I dyed the white wool with Kool Aid grape flavor and then wet felted. 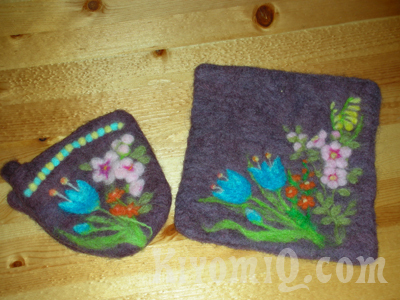 The decoration of the flowers are needle felted.